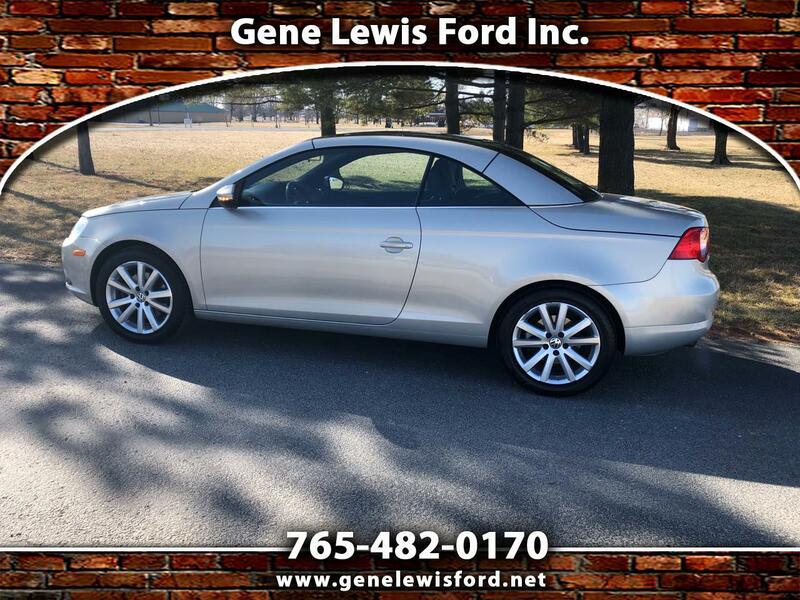 Used 2009 Volkswagen Eos Komfort for Sale in Indianapolis IN 46168 Gene Lewis Ford Inc. PERFECT HIGH SCOOL GRAD. PRESENT.. THIS NEAT UNIT WILL GO FAST THE SUMMER!!!! Gene Lewis Ford has been a Ford Family since 1912, please feel free to talk to one of the Lewis Brothers. Jim, Steve or David. We would be more than happy to sell you a vehicle. 765-482-0170. Debbie Breedlove will also be able to assist you with any new or used purchase, as she has been with Gene Lewis Ford since 1984. We are located just northwest of Indy, about 25 minutes from downtown Indy. Just off I65 at Exit 138, in Lebanon Indiana. Please feel free to visit our website for more information. Thanks for your interest in one of our vehicles. PLEASE, CHECK WITH SALES REP FOR EXACT OPTIONS ON VEHICLES, as some options appear by a default from the factory bar code. Message: Thought you might be interested in this 2009 Volkswagen Eos.